Former Falkirk, Dundee United and Partick Thistle boss replaces Mark Roberts. Ian McCall has been named the new manager of League 1 outfit Ayr United. 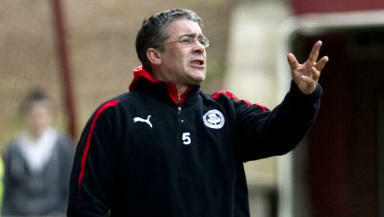 Former Falkirk and Dundee United boss McCall has been out of football since leaving Partick Thistle in 2011. The 50-year-old replaces Mark Roberts as manager with the Honest Men sitting second bottom of the League 1 table. McCall told Ayr's official website: "This last two years I have really missed the day to day working of football management. "Ayr United is still a big name in Scottish football and it should not be a hard sell to bring players to this club. The club is under achieving and my initial aim is a simple one – to start winning matches. 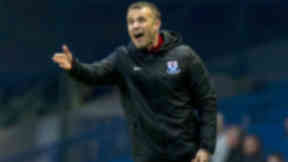 "My philosophy is always about taking each game on its merits, one week we may be able to play some great football and score a few goals and the next it’s about grinding out a victory. "We need to stay in this league and then think about promotion to the Championship and establishing ourselves there. This is a clean slate for all the players, they will have the chance to show me what they can do however I will be looking to bring players in quickly to improve the squad. "One of the things I remember as a player and a manager coming to Somerset Park is that it was such a difficult place to come and get a result. The fans behind the home goal made a huge effect on the Ayr players and we need to try and get that back. We need two to three thousand people in this ground." Ayr's last win came against Morton on October 18 with the team losing seven of their last eight matches. McCall's first game in charge comes on Saturday when Ayr travel to play Brechin City. Chairman Lachlan Cameron added: "We had three main criteria in our minds, experience at our level, working with a budget with financial constraints and working and developing youth. "Ian scored very highly in all three areas and combined with his obvious passion for the game we are delighted to welcome him to the club. Ian has been reinvigorated and has a proven ability to work at our level and take control of the club. "He also has a huge passion for players and will make a big difference in the dressing room. His enthusiasm is infectious and said to me he is wanting to take us on a ride."